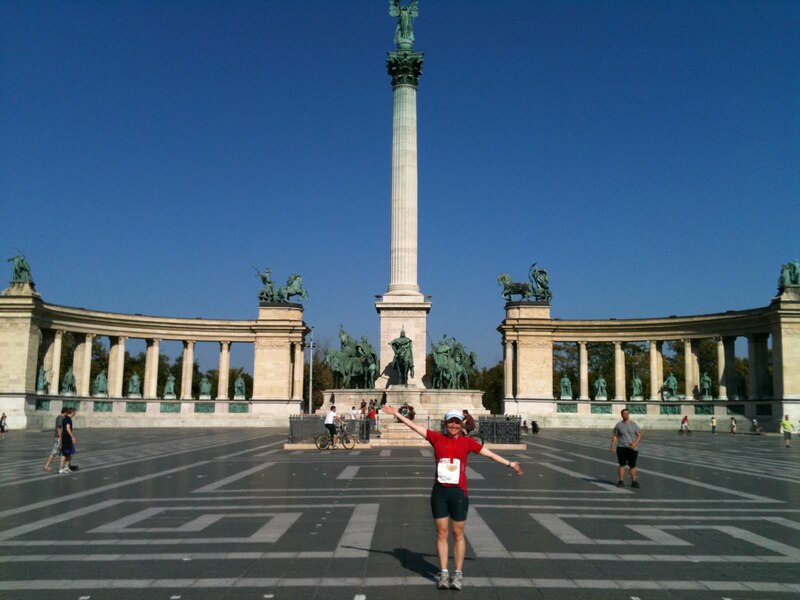 (Member blog post) Survival of the fittest & Budapest almost-marathon! I may have sneakily (& rather naughtily) run the Budapest 30km section of the marathon a few weeks ago! Here is a pic of me at heroes square just near to the much sought after finish line! What a beautiful city to run in! The weather was hot (a balmy 32 degrees) and it was lovely to run along the banks of the Danube river and admire the Hungarian architecture! I was supposed to be resting a foot that has had a bout of Plantar Fascia recently, but I couldn’t resist the temptation and have to say resting it for a few months beforehand has helped and it seems to be doing okay so far! Touch wood – and yes, I am tapping my head! On the recruitment front, anyone interested in Battersea’s survival of the fittest 10km on 12th Nov? I just entered the 2pm wave and would love to have some keen punters to run/obstacle/struggle through the muddy cargo nets with!